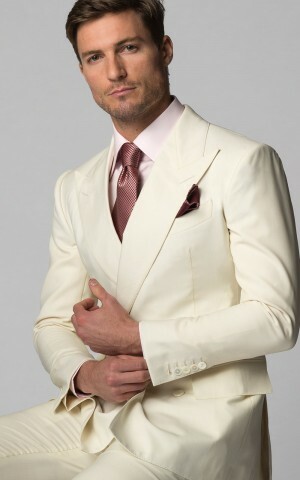 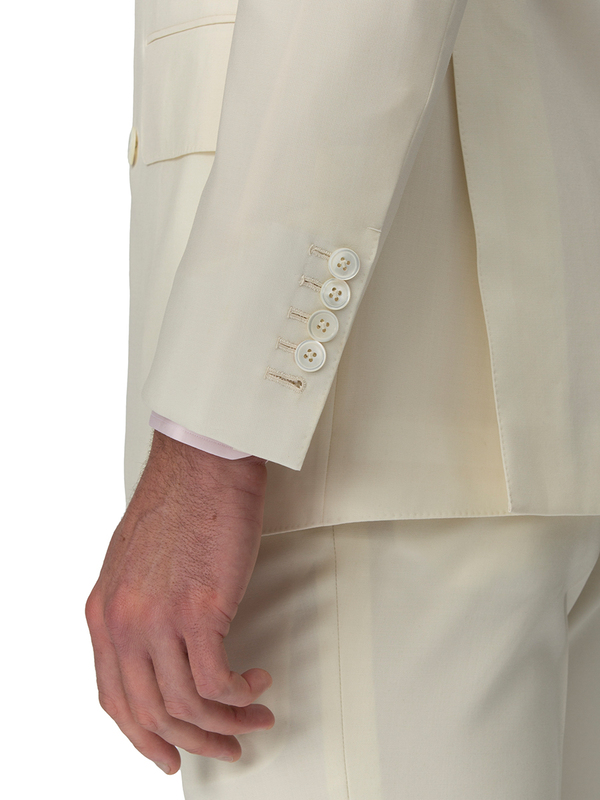 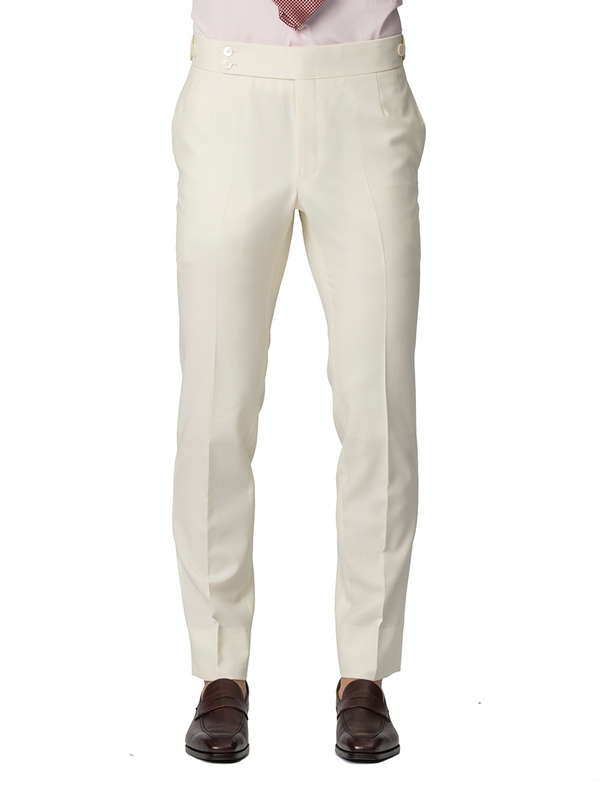 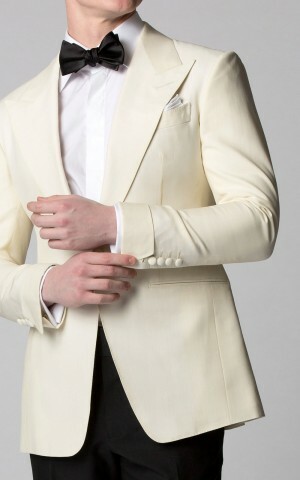 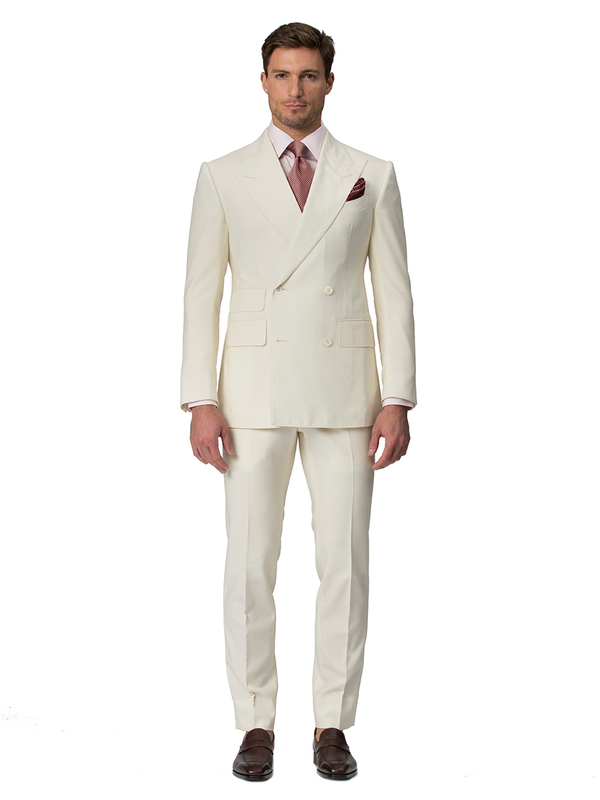 Put on the Rat Pack Ritz in our cream double breasted suit, a throwback to the 30s. 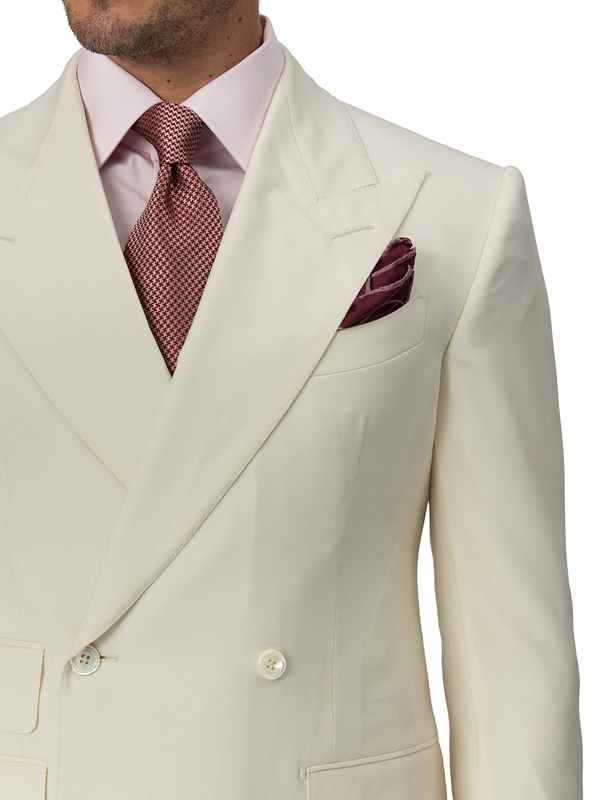 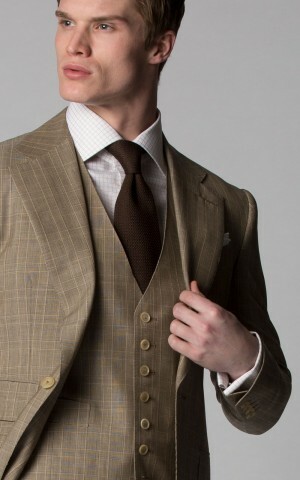 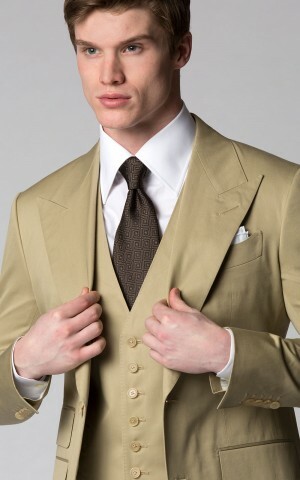 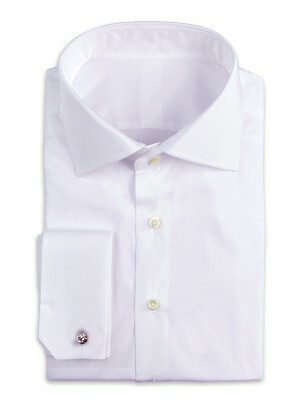 It's a classic choice with modern flourish, featuring peak lapels and a ticket pocket. 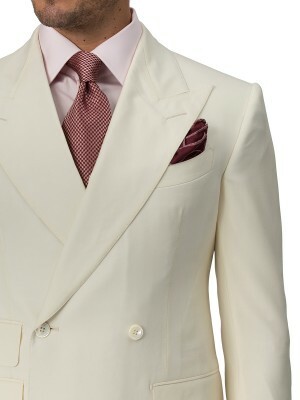 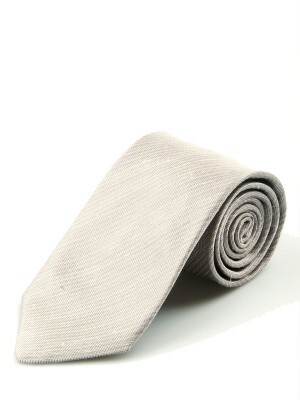 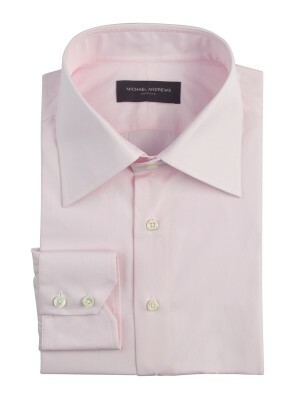 Sharp and tailored, this handcrafted piece is woven from a cool wool plain weave from Scabal.